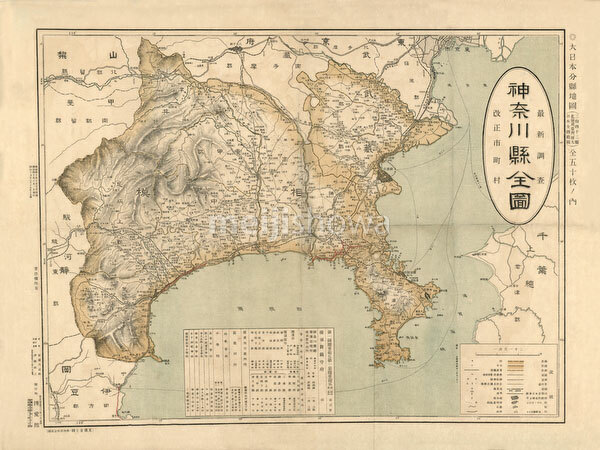 Map of Kanagawa Prefecture, printed on Jul 28, 1907 (Meiji 40). At 300 dpi, the largest size available for this map is 84.5MB, with the longest side being 6,277 pixels (53 cm or 21 inches). Please ask us about pricing if you require this large size.